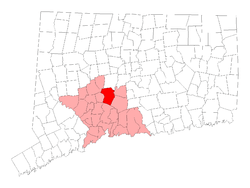 Cheshire, CT in New Haven County is located about half an hour from our pediatric dentistry office at 101 Main Street in Unionville, Connecticut. If you're looking for a child-friendly dentistry office, you'll find it at CT Pediatric Dentistry. Our team strives to offer a positive experience to every child who comes in. Going to the dentist can sometimes be frightening for some young children, so we offer a kid-friendly environment to reduce the stress of coming in for check-ups, cleanings, and dental surgeries. We believe in preventive dental care and oral hygiene education so that drilling and filling isn't as necessary, but sometimes even the best preventative measures fall short of our expectations. Parents in Cheshire, Connecticut will feel good about bringing their offspring to a pediatric dentist at CT Pediatric Dentistry. We know that choosing a dentist is a tough decision, so we try to make it easy for parents to know where to bring their kid for his or her check-up. Our group of amazing doctors will do anything they can to ensure that your child's visit is safe and fun! 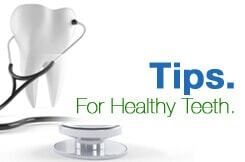 The idea is that if children enjoy going to the dentist, they are likely to take better care of their teeth because they will be in-tune to listen when the doctor teaches about best practices for dental health. We intend to teach your child about proper brushing and flossing techniques, as well as how to avoid bacteria-causing foods and drinks that lead to enamel weakening and eventually cavities. In doing so, we hope to minimize the need for dental surgeries throughout childhood and later in life. Young people in Cheshire, CT have a dental care home at CT Pediatric Dentistry. Our many years of experience providing dental care to young patients makes us an excellent choice in your area to be your child's dentist. Call us at 860-673-3900 to schedule an appointment for your child at our Unionville office.